“How do we involve and work together with local stakeholders” was the subject of the third experience-sharing event for members of the European Rewilding Network, on September 23, in good discussions between the attendants. 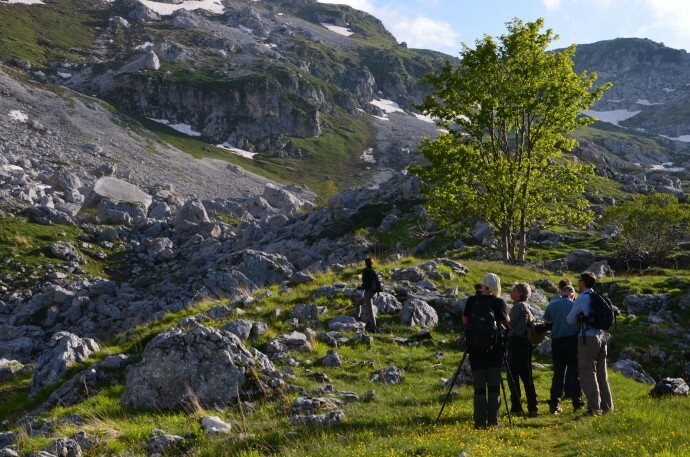 Rewilding Europe team visits the Central Apennines. This third European Rewilding Network webinar included topics such as in what ways rewilding can bring business, jobs and income to local society, to an extent that it can become an alternative to and economically compete with previous land use forms. Also addressed was how actively involving the local people enhances the area’s rewilding capacity. Attendants from different rewilding sites in several countries joined to learn and discuss what kind of opportunities there are to involve local communities in the rewilding of their areas. 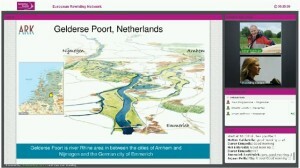 First Johan Bekhuis, ARK Nature, presented an overview of the experiences from the Gelderse Poort, The Netherlands. The Millingerwaard, a member of the European Rewilding Network is part of this area. The presentation showed a remarkable best practice example and highlighted what has been achieved over the past 20 years in transforming an agricultural economy into a tourist destination based on wild values. The foundation of this approach is the minimisation of flooding risks, and interestingly enough the brick industry became a very important partner. With the clay sediment taken from the area to build houses with, new nature was set aside. The dynamic area that soon came up became a tourism hotspot, bringing in new opportunities for local entrepreneurs. One of the key messages was that when giving nature more space, it can provide novel and unique opportunities, for nature and for humans. Next, Alberto Zocchi, the team leader of the Central Apennines rewilding area, ‘The Wild Heart of Italy’, passed on details of the work that is taking place in this area since 2013, when the site was included in the Rewilding Europe portfolio. The abandonment of traditional activities now provides new economic windows for local society. This is driven by wildlife coming back to the area, which makes wildlife watching development a way to move forward. Working with municipalities strengthens the relationships with local people, and by providing jobs the local commitment is even more enhanced. An interesting new job opportunity opened up not long ago – Bear Advocate! Three young men, specially trained as guides, are now building bridges between the brown bear conservation work and the demands from local players. At this moment, the European Rewilding Network comprises of thirty-four members from eighteen countries and more sites are about to join. It is an open network that encourages inspirational rewilding initiatives of many kinds from all over Europe to join in. We are now looking forward to the next webinar, since we know it is a very useful experience-sharing tool, which in its turn is an important goal of the network. We warmly welcome new members to the European Rewilding Network, since building a large database of knowledge about many kinds of rewilding experiences will be useful to everyone who wants to Make Europe a Wilder Place. Please feel welcome to have a look at how your inspiring rewilding initiative could become part of this growing network, at www.rewildingeurope.com/rewilding-network/.